Brian Butler takes local ques and reimagines them in new and modern context. “Paradise and Fries” is a lighthearted play on Florida’s wild tropical climate, positioned in the immediate context of a food court. 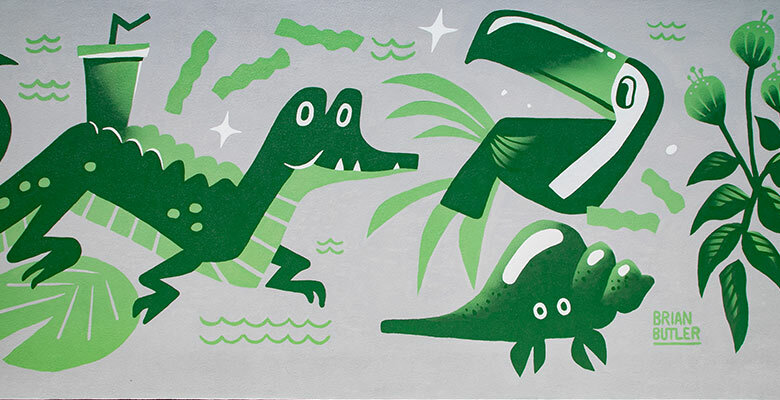 Flamingos flex for cheeseburgers, while a gator balances a frosty shake. In this piece flora and fauna are served with a side of fries.